Aim : The aim of present study is to investigate the various psychological effects on children due to dental treatment. Materials and Methods : One hundred and eighty school going children, age range between six and twelve years, were recruited into the study and divided into two groups (Group I included six to nine-year-olds and Group II included nine-to-twelve year olds). Only those children were included who underwent a certain dental treatment seven days prior to the investigation. Each child was asked a preformed set of questions. The child was allowed to explain and answer in his own way, rather than only in yes or no. The answers were recorded. After interviewing, the child was asked either to draw a picture or to write an essay related to his experience regarding the dentist and dental treatment. Results : A majority of the children (92.22%) had a positive perception. The number of children having negative and neutral perceptions was comparatively much less. Younger children (Group I) had a more negative experience than the older children (Group II). Only one-fourth of the children complained of some pretreatment fear (23.83%); 72.09% of the children did not have any pain during dental treatment and a majority of children (80.23%) remembered their dental treatment. Conclusion : A majority of children had a positive perception of their dental treatment and the children in the younger age group had more negative perceptions than the children in the older age group. Aim: Preventive measures are necessary to prevent a potential irregularity from progressing into a more severe malocclusion. The determination of the tooth size-arch length discrepancy in mixed dentition requires an accurate prediction of the mesiodistal widths of the unerupted permanent teeth. Materials and Methods: For the study, 200 subjects in the age group of 16-25 years were selected from various colleges of M. M. University. 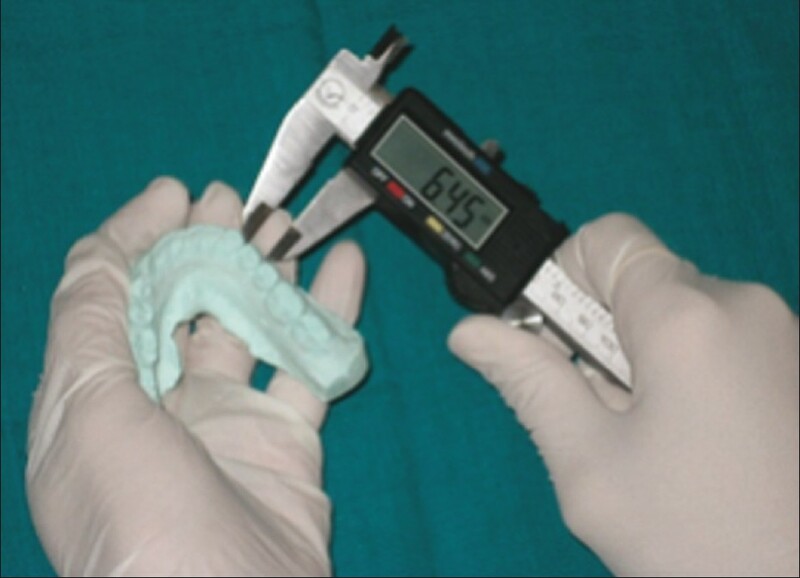 The mesiodistal width of permanent mandibular incisors, first molars, canines and premolars of both arches were measured on the subject cast using an electronic digital caliper. Statistical analysis showed a significant difference between mesiodistal tooth widths of males and females. Linear regression equation was determined to predict the sum of mandibular and maxillary permanent canines and premolars using mandibular first molars plus the four mandibular incisors as predictors. Results: There was no significant difference between the actual and predicted width of sum of permanent canines and premolars using regression equations. The predicted widths of both arches using Tanaka and Johnston equations showed significant differences. Determined regression equations for males were accurate in male samples and determined regression equation for females were accurate in female samples for both arches. Odontomas have been extensively reported in the dental literature, and the term refers to tumors of odontogenic origin. Though the exact etiology is still unknown, the postulated causes include: local trauma, infection, inheritance and genetic mutation. The majority of the lesions are asymptomatic; however, may be accompanied with pain and swelling as secondary complaints in some cases. Here, we report a case of a compound odontome in a 14 year old patient. Nodular fasciitis is a benign proliferative spindle-cell lesion that presents as a rapidly growing mass frequently being mistaken for a sarcoma. A rare presentation and treatment of nodular fasciitis in the cheek of an 8-year-old boy is described here. He came with a chief complaint of swelling in the left cheek since 1 month which rapidly increased to the size of a marble, over a period of 1 month. Surgical excision of the lesion was planned under general anesthesia following which the surgical site was closed with resorbable sutures. Based on the history, clinical picture, and histopathological examination, the lesion was diagnosed as nodular fasciitis. Although infrequent in both children and the oral mucosa, nodular fasciitis should be considered in the differential diagnosis of facial tumors in infants and young children. 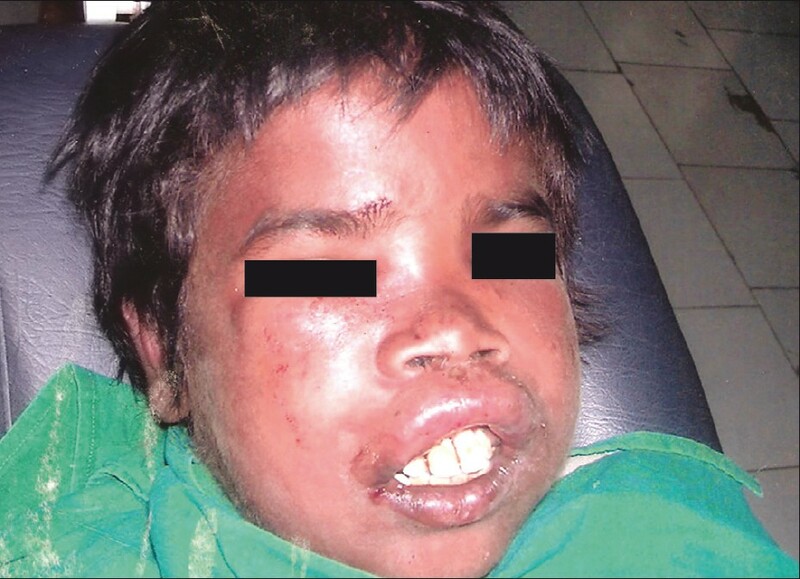 Oral myiasis is a rare condition in humans and is associated with poor oral hygiene, severe halitosis, mouth breathing during sleep, mental handicap, cerebral palsy, epilepsy, anterior open bite, incompetent lips, and other conditions. In this report, a 14 year-old boy who had an orofacial trauma in the maxillary dentoalveolar region,which was neglected, has been described. There was a deep lacerated wound on the upper vestibule which was infected and maggots were found on the same wound. The clinical features, management, treatment are discussed and relevant literature is reviewed. 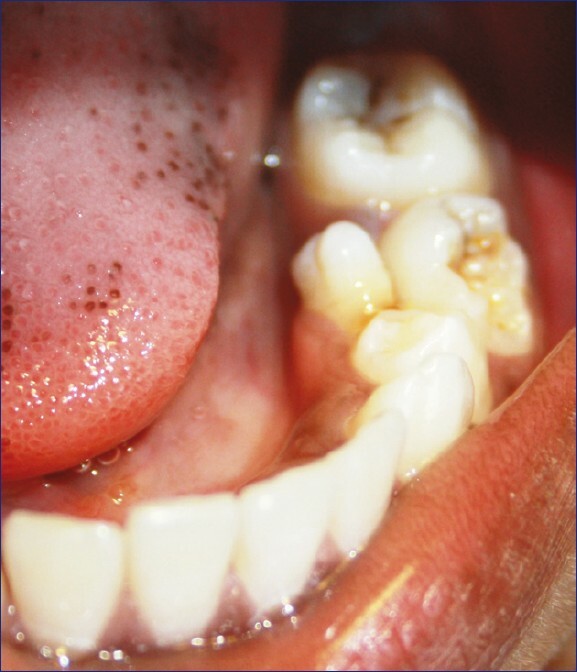 Peripheral cemento-ossifying fibroma [PCOF] is a reactive gingival overgrowth occurring frequently in the maxillary anterior region in teenagers and young adults. Here, we report a case of POCF in a 13-year-old male, which was previously surgically excised and had recurred after a period of 9 months. 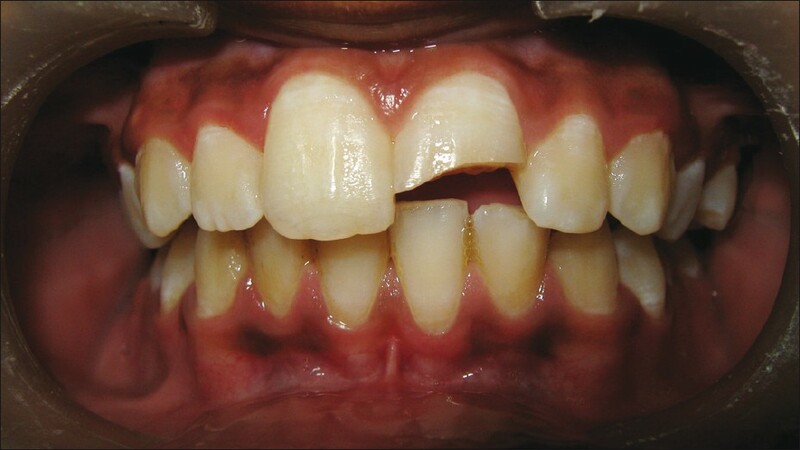 PCOF should be considered in differential diagnosis of such reactive hyperplastic lesions originating from the gingiva. Hence, early diagnosis with proper surgical excision and aggressive curettage of the adjacent tissues are essential for prevention of recurrence. Adenomatoid odontogenic tumor (AOT) is a rare odontogenic tumor which is often misdiagnosed as odontogenic cyst and accounts for about 1% until 9% of all odontogenic tumors. It is predominantly found in young and female patients, located more often in the maxilla in most cases associated with an unerupted permanent tooth. It is a benign (hamartomatous), noninvasive lesion with slow but progressive growth. There are three variants of AOT: follicular, extrafollicular, and peripheral. We report a rare case of follicular-type AOT in the mandible of a 14-year-old male patient who presented with right -sided jaw swelling. 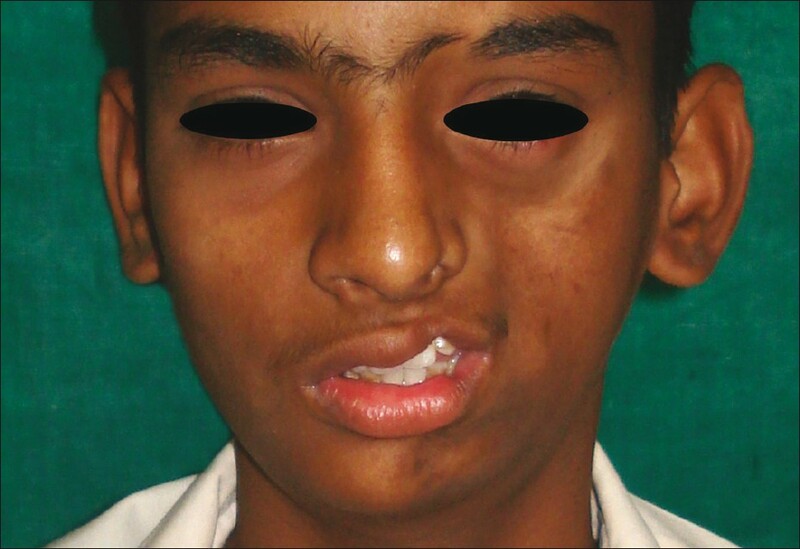 Ectodermal dysplasia (ED) represents a group of patients with mild to severe congenital and developmental anomalies. Dentists are the first person to identify ED in young patients. The impairment is not just the form and function but extends to the social outlook as well as the psychology of the affected individual. 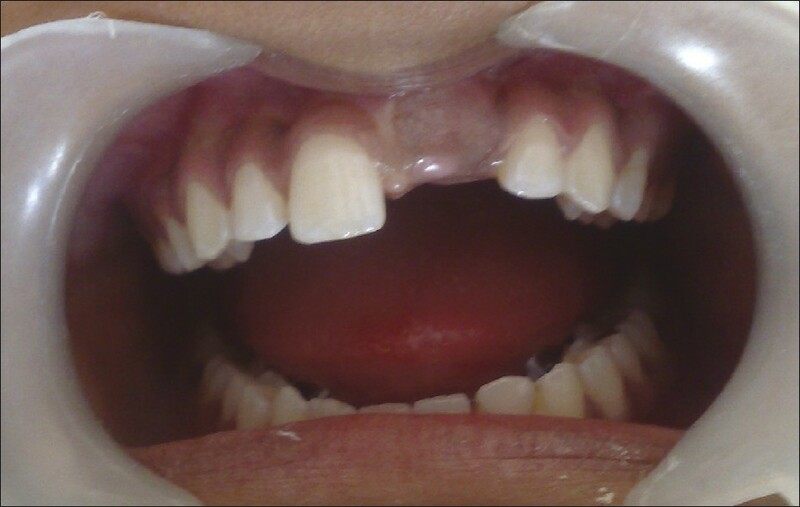 This case report describes management of ED with a long-span fixed partial denture fabricated using a Broadrick flag. The impacted maxillary incisor is detrimental for problems related to esthetics and occlusion in permanent dentition stage. A case with an unerupted maxillary central incisor was diagnosed radiographically with impacted dilacerated maxillary central incisor. The management of the case was carried out surgically and orthodontically. By combining two stages of surgical exposure, orthodontic traction and alignment, the impacted dilacerated incisor was successfully moved into desired position. A two-year follow-up of the stability and periodontal health showed that the tooth placed in the occlusion maintained both esthetics and function. William's syndrome is a chromosomal disorder characterized by multisystem, congenital and panethnic occurrence, characterized by a number of developmental and physical abnormalities. 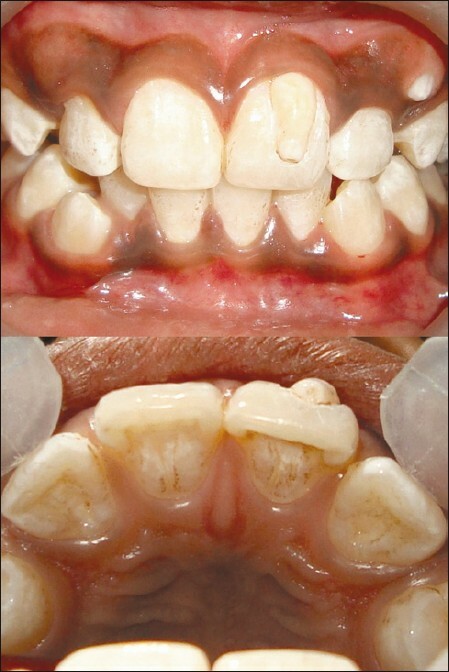 This case report describes the dental management of a 10-year-old male patient with William's syndrome who had multiple dental problems such as caries, periodontal disease and malocclusion. Juvenile ossifying fibroma (JOF) is a rare controversial fibroosseous lesion affecting the craniofacial skeleton and occurring commonly in children and young adults. It is highly aggressive and has a high tendency to recur. It is distinguished from the adult variant of ossifying fibroma on the basis of age, site, clinical behavior and microscopic appearance. Because of its high recurrence rate, which is 30-58%, complete excision is essential. Early diagnosis will circumvent the necessity of radical treatment. We report a rare case of trabecular JOF of maxilla where a computed tomography scan was taken to further support the characteristic feature of the lesion. This case report describes the successful non-surgical endodontic management of carious exposed three-rooted mandibular molar with four root canals detected on the pre-operative radiograph taken with 20 degrees mesial angulation and confirmed with a 64-slice helical computed tomography scan-assisted 3-D-reconstructed images. Access cavity shape was modified to locate the extra canal with respect to the distolingual root in the left mandibular first molar. Copious irrigation was accomplished with 5.25% sodium hypochlorite and 17% EDTA. Biomechanical preparation was done using protapers. 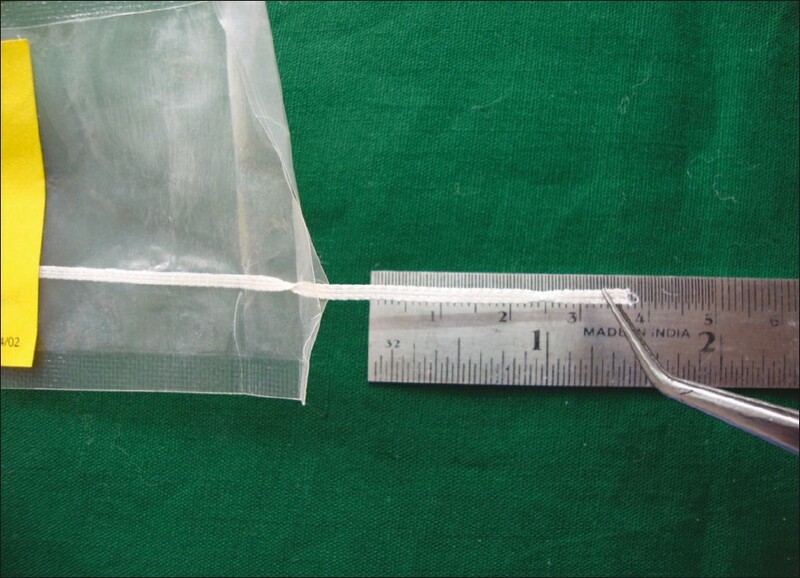 Calcium hydroxide dressing was done for 1 week. The tooth was obturated using gutta percha and AH 26 root canal sealer, and it was permanently restored with composite. Clinical examination on follow-up visits revealed no sensitivity to percussion and palpation in the left mandibular first molar. Thorough knowledge of root canal variations and use of advanced diagnostic modalities lead to successful non-surgical management of the complex cases. Ellis-van Creveld syndrome is a rare autosomal-recessive disorder characterized by short limbs, post-axial polydactyly, ectodermal dysplasia, edentulous mandibular incisor region, absence of mucobuccal fold, congenitally missing teeth, slight serrations of the alveolar ridge and multiple small alveolar notches. The clinical report not only describes the classical oral and dental manifestations of Ellis-van Creveld syndrome but also presents unusual findings such as single-rooted and funnel-shaped primary first molars, single conical roots of primary second molars and taurodontisum, which must be considered in the differential diagnostic criteria to avoid misdiagnosis of syndromes. 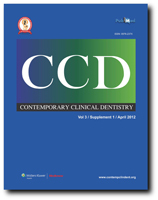 The article also discusses the differential diagnosis and preventive and therapeutic oral health care for these patients. The management of Ellis-van Creveld syndrome is multidisciplinary and, therefore, the oral health care provider should get updated with latest knowledge for timely referral to prevent the patient from further complications of heart defect and bony deformity. Focal cemento-osseous dysplasia (FCOD) is a benign fibroosseous condition that can be seen in dentulous and edentulous patients. It is an asymptomatic lesion and needs no treatment; however, follow-up is essential due to the possibility that it can progress to a condition called florid cemento-osseous dysplasia. 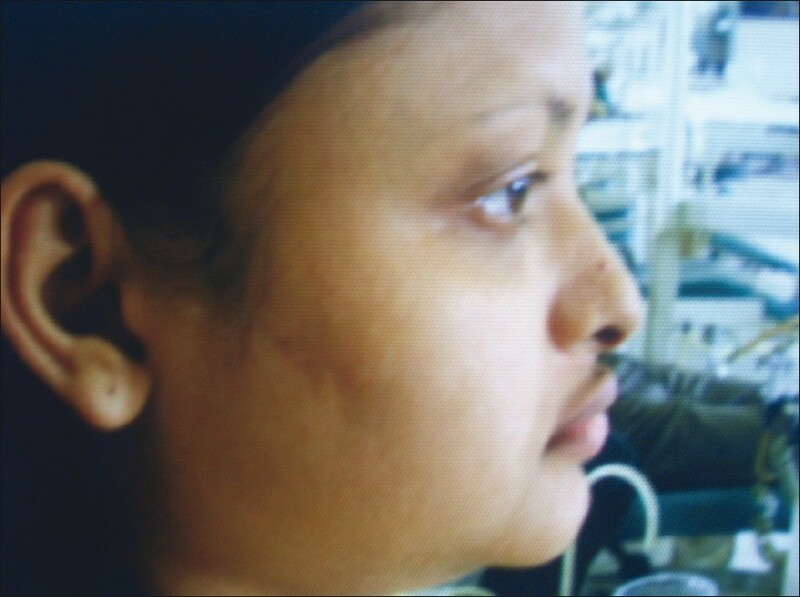 We report a case of FCOD of mandible in a 25-year-old female. 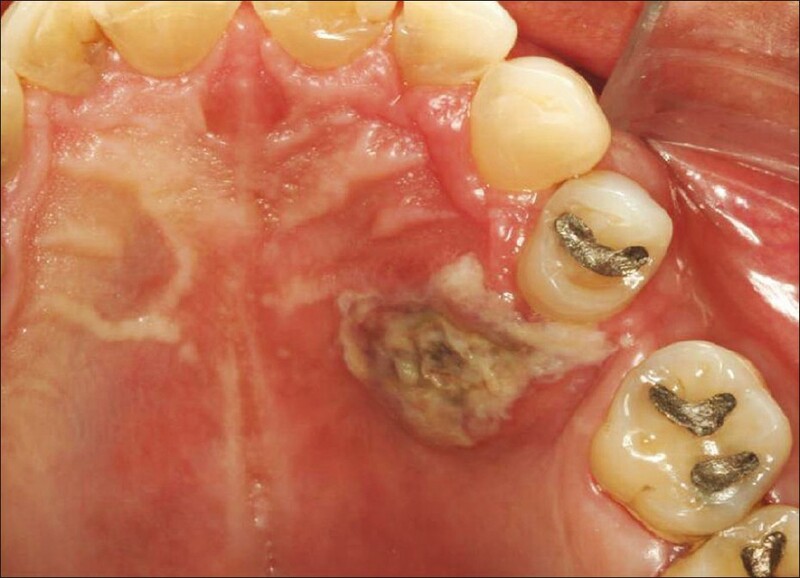 Clinically, the lesion resembled periapical pathosis of odontogenic origin. An attempt has been made to discuss the clinical and histopathologic features along with differential diagnosis of cemento-osseous dysplasia. 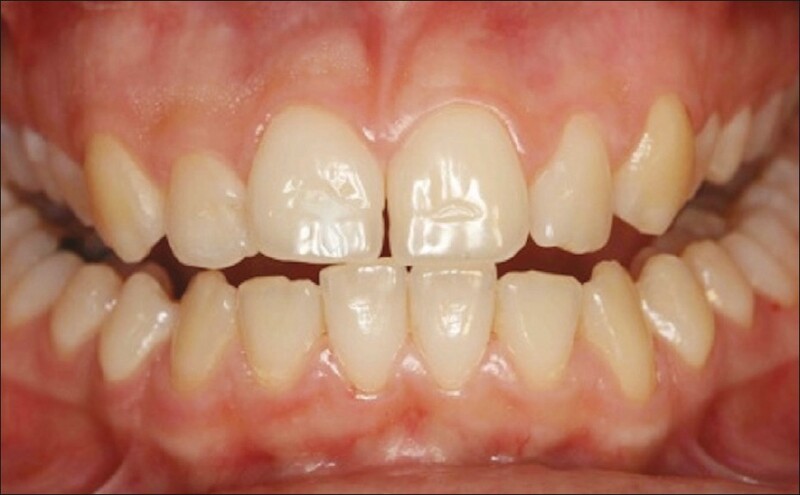 Hereditary gingival fibromatosis is a rare condition that can occur as an isolated disease or as part of a syndrome or chromosomal abnormality. In severe cases, the gingival enlargement may cover the crowns of teeth and cause severe functional and aesthetic concerns. Here, we present a case of an 8-year-old girl with severe enlargement of gums in maxilla and mandible. Both deciduous and permanent teeth were not erupted in the oral cavity at all. 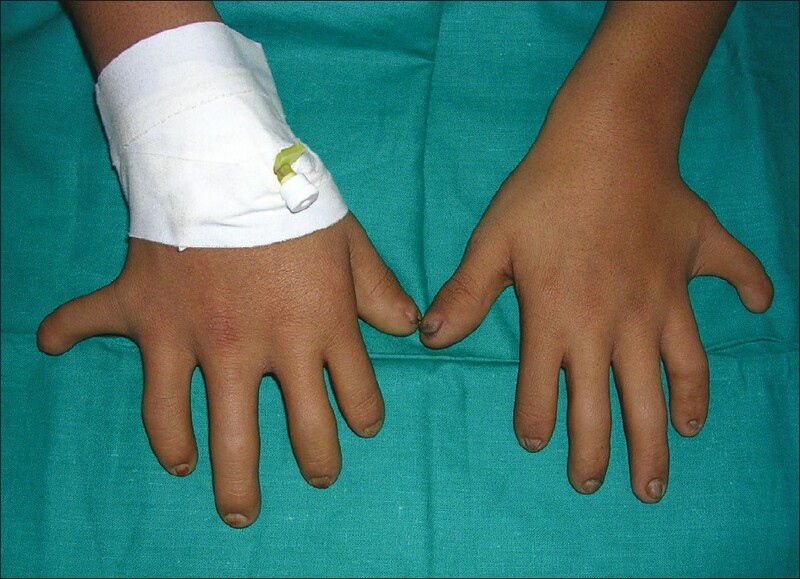 Mutation in the Son-of-Sevenless (SOS-1) gene has been associated with the disease. The diagnosis was made based on clinical examination and family history. Surgical removal of the hyperplastic tissue was performed under general anesthesia. Reattachment of the fractured anterior tooth is a highly conservative and aesthetic treatment that has gained popularity in the recent past. Presented here is one such case in which a combination of external enamel bevel and internal dentinal groove has been used to enhance the bonding between the fractured fragment and the remaining tooth. The treatment was found to be successful both functionally and aesthetically at the 18-month follow-up. 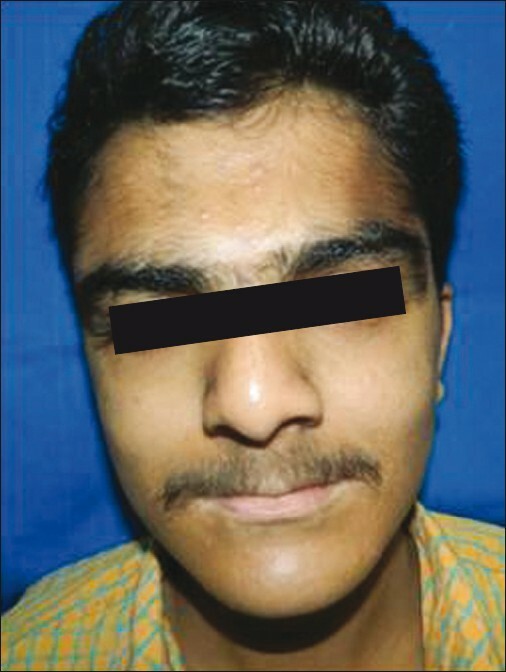 Progressive hemifacial atrophy, also known as Parry-Romberg Syndrome, is an uncommon degenerative and poorly understood condition. It is characterized by a slow and progressive atrophy affecting one side of the face. The incidence and the cause of this alteration are unknown. A cerebral disturbance of fat metabolism has been proposed as a primary cause. This can be result of a trophic malformation of cerebral sympathetic nervous system. Possible factors that are involved in the pathogenesis are trauma, viral infections, heredity, endocrine disturbances, and autoimmunity, among others. Characteristically, atrophy progresses slowly for several years and, soon after, it become stable. 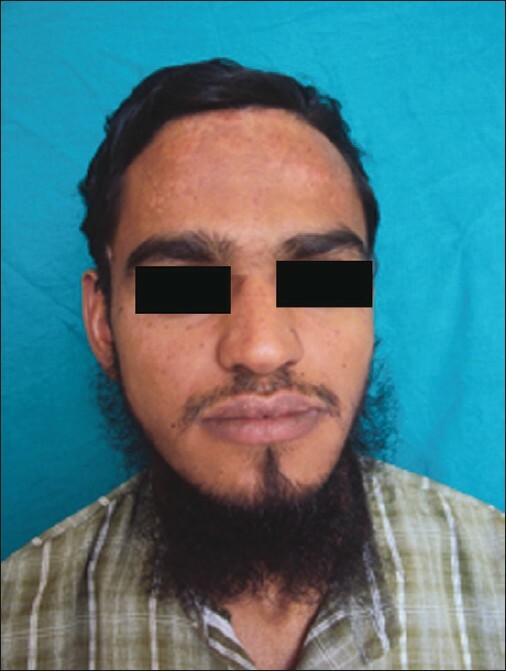 The purpose of this work is, through the presentation of a clinical case, to accomplish a literature review concerning general characteristics, etiology, pathophysiology, differential diagnosis, and treatment of progressive hemifacial atrophy. Cornelia de Lange syndrome is a syndrome of multiple congenital anomalies. The genetic and molecular bases of these lesions are not clear. It is divided into three types based on the severity of the anomaly. Dental findings revealed contracted maxilla, malaligned teeth, multiple impacted and missing teeth. This article describes the successful management of upper central incisor with lateral opening in the apical third on the mesial surface of the root along with aesthetic and functional rehabilitation. 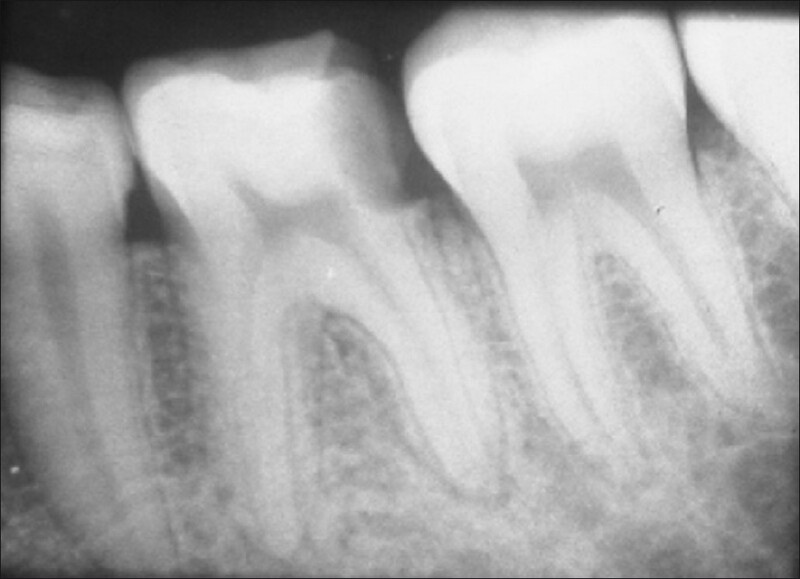 Gemination and fusion are morphological dental anomalies, characterized by the formation of a clinically wide tooth. Gemination occurs when one tooth bud tries to divide, while fusion occurs if two buds unite. The terms double teeth, double formation, conjoined teeth, geminifusion, vicinifusion and dental twinning are often used to describe fusion and gemination. Double teeth are associated with clinical problems such as poor esthetics, spacing problems and caries susceptibility. Management of such cases requires a comprehensive knowledge of the clinical entity as well as the problems associated with it. 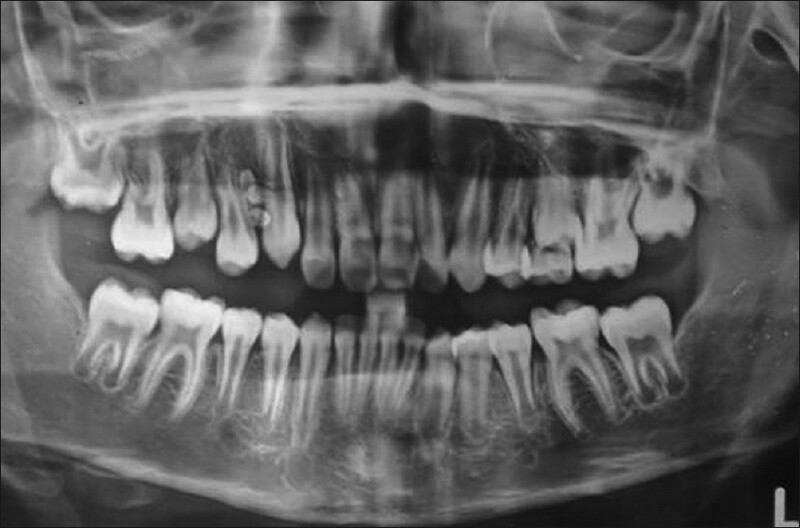 This report presents a case of primary double tooth in a 6-year-old boy involving maxillary left central incisor. The anomalous tooth was carious and pulpally involved. This was treated conservatively by endodontic treatment and esthetic rehabilitation was done with direct composite restoration using a silicone buildup guide. The treated tooth was followed up until exfoliation. Ichthyoses are a heterogenous group of hereditary keratinization disorders that share in common the accumulation & shedding of large amounts of hyperkeratotic epidermis.Early reports of ichthyosis in the Indian and Chinese literature date back to several hundred years. X-linked recessive ichthyosis (XLI) is a common disorder of keratinization and affects males who inherit an X-chromosome having a steroid sulphatase genetic mutation.In the present communication we report a case of XLI and dystrophic epidermolysis bullosa in the same patient. To the best of our knowledge it has been reported only once before. The combination of submerged primary molar, agenesis of permanent successor with a supernumerary in the same place is very rare. The purpose of this article is to report a case of submerged mandibular left second primary molar with supernumerary tooth in the same region along with agenesis of second premolar in an 11-year-old girl, its possible etiological factors, and a brief discussion on treatment options. Cemento-ossifying fibroma (COF) is considered a benign osseous tumor. 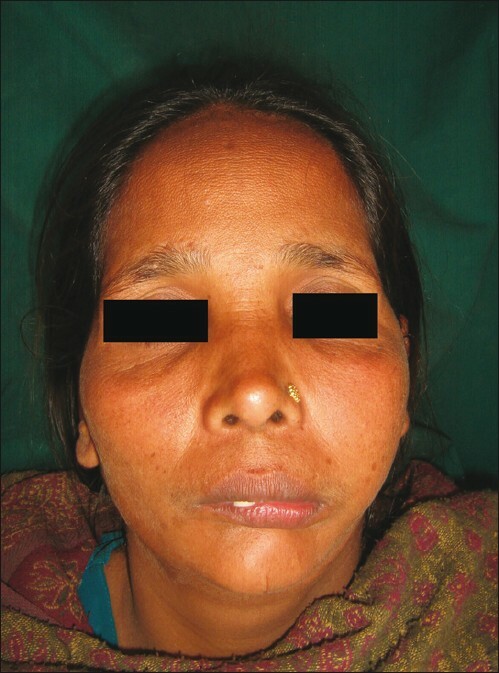 Herewith, we present a case of multiple central ossifying fibroma in a 35-yeaold woman. Intraorally, there was swelling in the left upper posterior teeth region and another diffused swelling in the fourth quadrant. 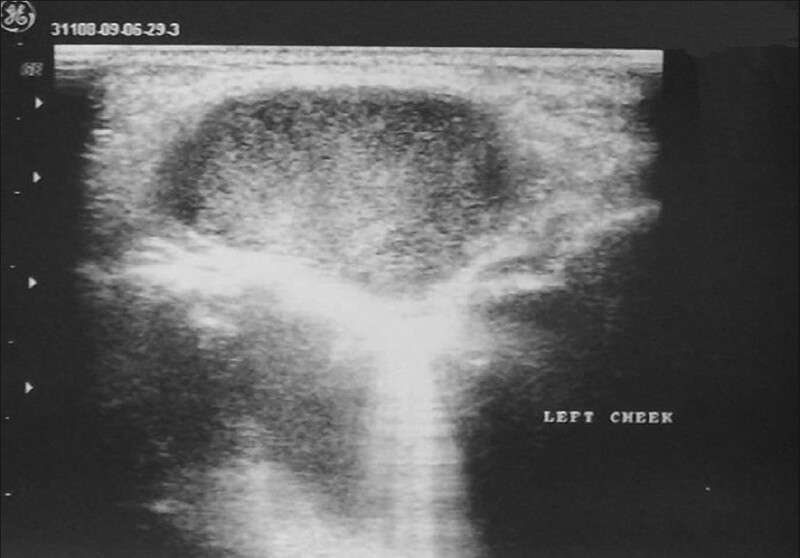 Radiographs revealed the presence of well-defined mixed radiolucent-radiopaque area having thin radiolucent rim followed by thick sclerotic margin. No genetic correlation could be established. 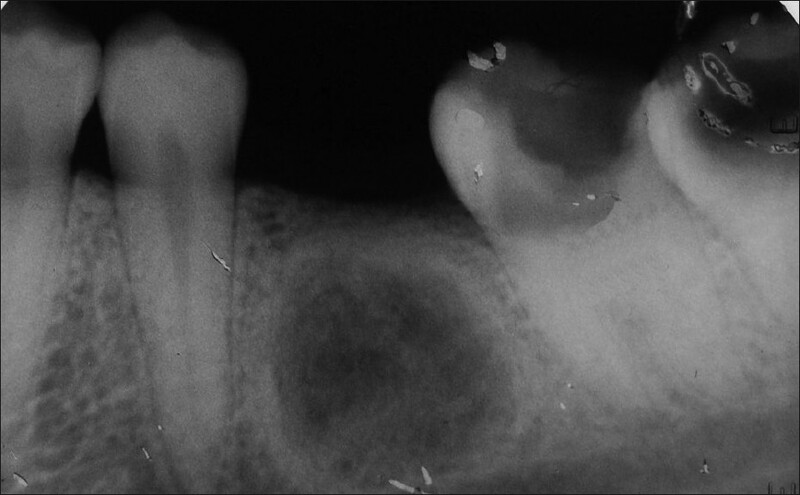 As bilateral COF is a rare entity, we present such a case with different radiographic appearance, using various radiographic techniques. 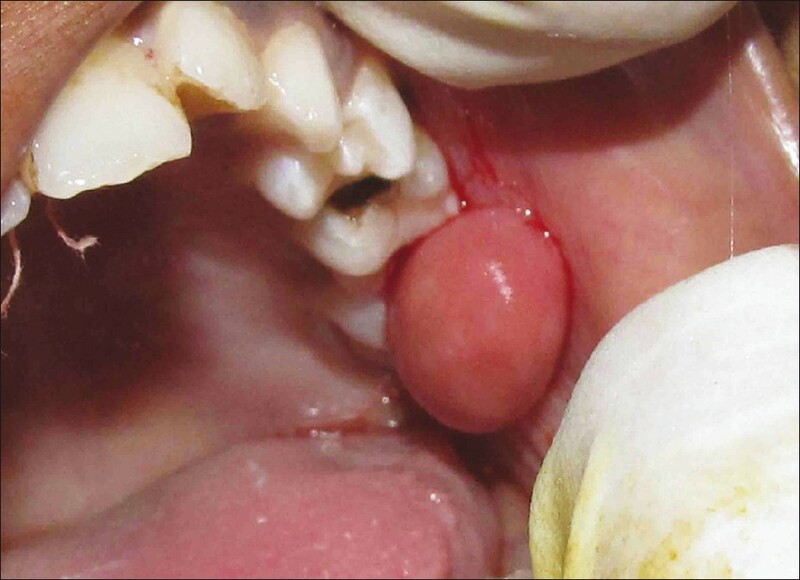 Traumatic ulcerative granuloma with stromal eosinophilia (TUGSE) is a benign, self-limiting lesion of the oral mucosa with unknown pathogenesis. A 65-year-old male patient presented with an ulcerative palate lesion, which on microscopic examination exhibited an exuberant polymorphic lymphoid proliferation, numerous eosinophils, and extensive vascular destruction. The atypical lymphoid cells infiltrating the medium-sized vessels showed positivity for CD3, CD30, and granzyme B, implicating an activated cytotoxic T-cell phenotype. The lesion diagnosed as TUGSE achieved complete resolution within 3 months. This unusual presentation has expanded the spectrum of oral CD30+ T-cell atypical infiltrates and must be distinguished from lymphomas showing angiocentric/angiodestructive growth pattern. The lipoma is a very common benign tumor of adipose tissue, but its presence in the oral and oropharyngeal region is relatively uncommon. Fibrolipoma, a histological variant of lipoma, mostly affect the buccal mucosa and causes functional and cosmetic disabilities. Hence, accurate histopathological examination of lipomas is important for a correct treatment plan. 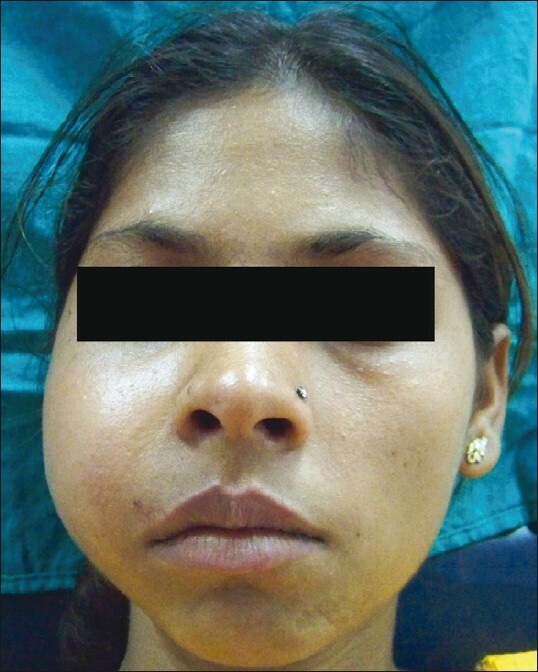 This article describes a case of 10 year old girl with fibrolipoma of the buccal mucosa with a relevant review of tumors. Ectrodactyly, ectodermal dysplasia, and cleft lip/palate (EEC) is a rare syndrome having ectrodactyly, ectodermal dysplasia, and cleft lip/palate. So far, very few cases have been reported in literature. 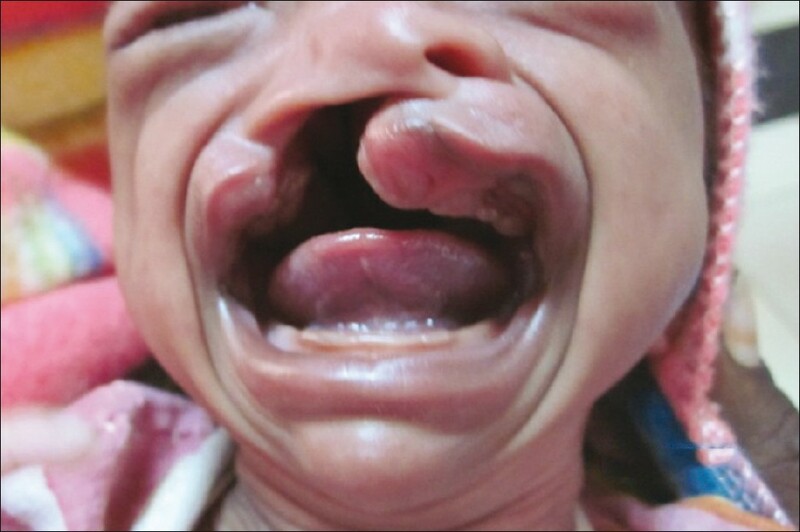 However, we report a case of incomplete EEC syndrome having ectrodactyly and cleft lip and palate with absence of signs of ectodermal dysplasia with no other systemic anomalies. 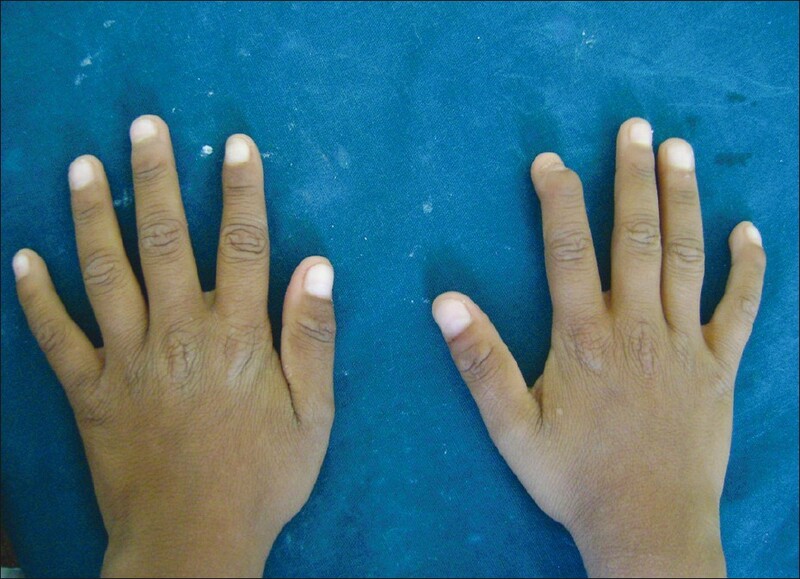 Other feature noted is the syndactyly of toes which is reported rarely in this syndrome. A multidisciplinary approach for treatment is needed which is co-ordinated by pedodontist or pediatrician. 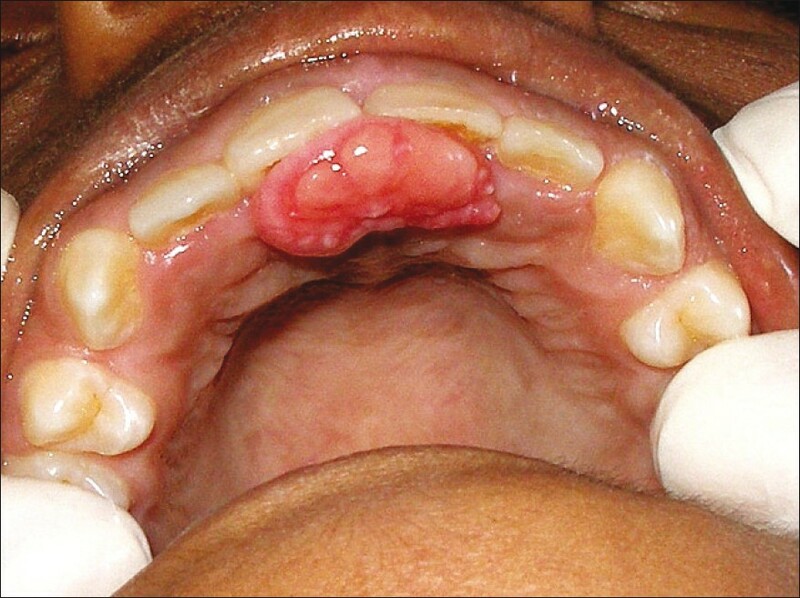 Peripheral giant cell granuloma or the so-called "giant cell epulis" is the most common oral giant cell lesion. It normally presents as a soft tissue purplish-red nodule consisting of multinucleated giant cells in a background of mononuclear stromal cells and extravasated red blood cells. This lesion probably does not represent a true neoplasm, but rather may be reactive in nature, believed to be stimulated by local irritation or trauma, but the cause is not certainly known. 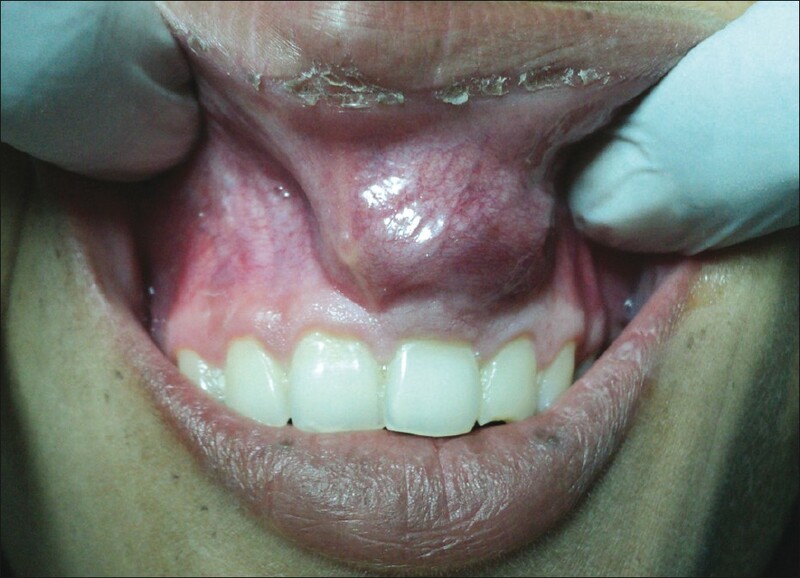 This article reports a case of peripheral giant cell granuloma arising at the maxillary anterior region in a 22-year-old female patient. The lesion was completely excised to the periosteum level and there is no residual or recurrent swelling or bony defect apparent in the area of biopsy after a follow-up period of 6 months. Adolescent rampant caries is a new and growing challenge in Conservative Dentistry. It has the same etiology and pattern as that of nursing bottle syndrome. Herein, a case is presented in which the main cause of rampant caries is the patient's habit of keeping cariogenic food in her mouth and going to sleep. Educating this etiology and introduction of preventive strategies not only assists in meeting the special oral needs of the adolescent population, but also helps to establish lifelong healthful habits. Talon cusp is a relatively uncommon developmental anomaly characterized by cusp-like projections, usually presenting on palatal/lingual surface of the anterior teeth. This cusp resembles an eagle's talon, and hence the name. Normal enamel and dentin covers the cusp, which may or may not contain an extension of pulp. Presence of this anomalous cusp on the facial surface of an anterior tooth is a rare finding and very few cases have been reported in the literature. In most instances, such cusps are associated with clinical problems such as poor esthetics and caries susceptibility. Management of such cases requires a comprehensive knowledge of the clinical entity as well as the problems associated with it. This case report presents a facial talon cusp on the maxillary left central incisor of a 10 year old boy, which was conservatively treated. Vitality of the affected tooth was maintained and followed up for a period of 1 year. The endodontic treatment of a mandibular molar with aberrant canal configuration can be diagnostically and clinically challenging. This case report presents the treatment of a mandibular first molar with six root canals, of which three canals were located in the mesial root and three in distal root. 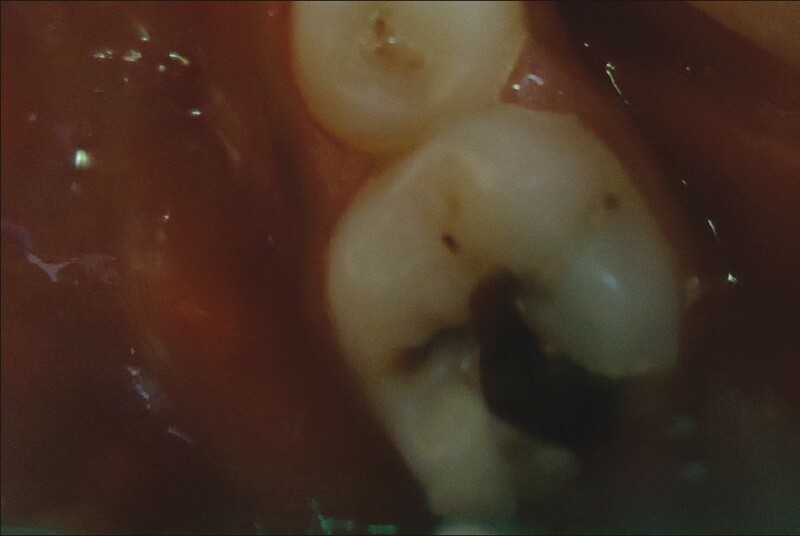 Third canals were found between the two main root canals. 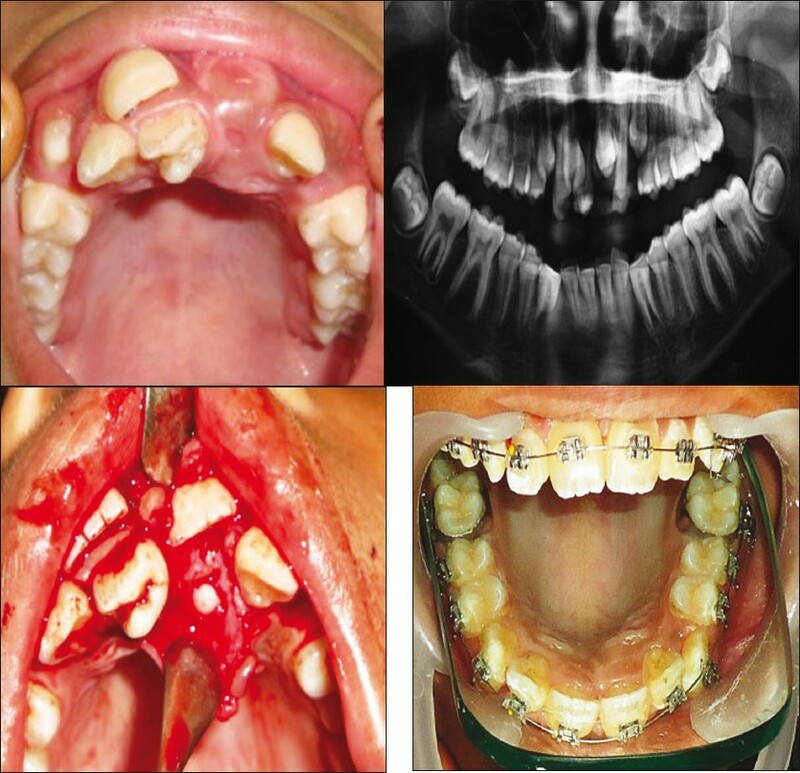 This case presents a rare anatomic configuration and points to the importance of expecting and searching for additional canals. 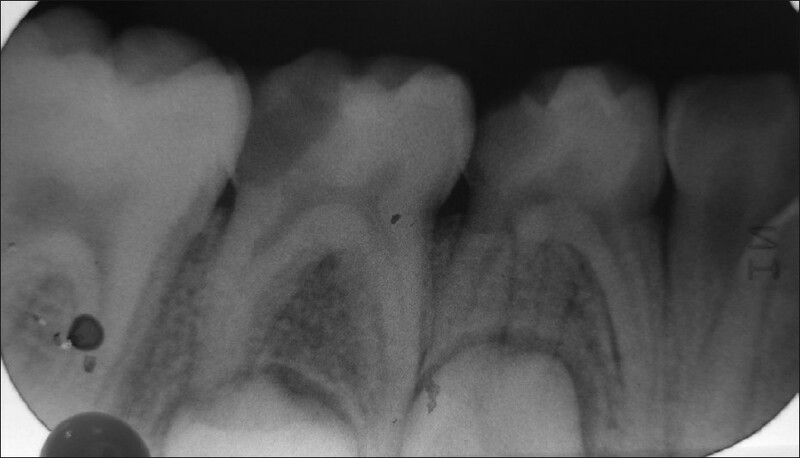 Accessory root formation in primary teeth is an uncommon finding. An awareness and understanding of the presence of additional roots and unusual root canal morphology is essential as it determines the successful outcome of the endodontic treatment. This paper presents three case reports on the presence of three-rooted mandibular first primary molar (primary three-rooted mandibular left first molar and bilateral mandibular first molar).